Pearl Marketing News & Blogs — We Consult. We Educate. We Inspire. Google recently announced that it will be closing down its consumer version of Google+, set to take effect April 2019. If you employed Google+ as your social media marketing strategy, you might be wondering… Now What? Rest assured, Pearl Marketing has several ways you can redirect your social media marketing strategy to boost your online presence. Google’s decision to shut down Google+ occurred after reports of data breaches that exposed user’s information to unauthorized parties. In addition to the data breaches, the number of users engaging on the platform was relatively low. If you did utilize Google+ however, you will have the opportunity to export and save information from your Google+ account through Google Takeout. Now that you have the data from your Google+ account, you might be looking for ways to utilize this information on a different channel. Or, perhaps you are left to shift your focus from Google+ to another social networking site. Luckily, there are several social media platforms that are flourishing with active users looking for engaging content to interact with. As a result of low engagement on Google+, you likely weren’t receiving the best social media potential for your brand. Instead, you will want to refocus your attention on a platform that has active users who will be more apt to read your content, and in turn, like, comment and share your posts. The more people that reference your brand and cite the information you have published, the better your search engine optimization (SEO) will be. Improving your SEO is crucial, as it allows your website and social media pages to appear at the top of users’ Google searches. Google rates its search engine rankings based off of metadata, bounce rate, and levels of engagement. When users spend time reading your content for example, it reduces your bounce rate, indicating that people are viewing pages on your website for longer periods of time. This prioritizes your content, placing it higher in search engine results, which increases the probability of having your content viewed by others. The more people viewing and discussing your content, the better! Creating content that is enticing will assist in this process, prompting high levels of engagement from eye-catching posts. You can achieve this best with visual content that grabs the audience’s attention through images or video. YouTube is a video-sharing network owned by Google that houses a thriving community of content creators. Publishing videos to your YouTube channel is an effective way to capture your audience’s attention quickly. These videos can also be linked to your other social media sites, such as Facebook and Twitter. This will increase your online exposure, by driving traffic to your website and social media. Pearl Marketing can help you strengthen your social media marketing strategy! If you are interested in setting up a consultation, call us at (603) 732-9070, email info@pearlmarketing.com, or visit us at https://www.pearlmarketing.com. Don’t forget to check us out on Facebook, Twitter, Instagram, LinkedIn, and YouTube! Through what we call a brand audit, Pearl Marketing has helped many businesses in different stages of business growth. Perhaps you’ve heard of the effectiveness of brand audits, but haven’t taken the time to embrace one, or perhaps there’s still some mystery to it all. Whether you’re a leader of a big company making changes, or a small business owner getting your business off the ground, running a brand audit is of significant importance because it assists one in understanding the current or future status of one’s brand internally (to employees and staff) and externally (to consumers and the public). A brand audit can give you pertinent information that helps in making pivotal brand decisions that affect the success of your business. Read on to better understand when to run a brand audit and why you should run one. Make sure your brand identity is clear! A brand serves as the heart of a businesses and sends a message to the outside world. If a business doesn’t have a solid and defined brand, you won’t have a solid and defined business. Your employees (and maybe even YOU as the business owner!) won’t know what they’re working for and helping to build, and consumers won’t know what the business is about. A brand audit allows you to find clarity in defining your brand both internally, for employee and staff morale, and externally, for consumer recognition and effective marketing. You might hear that a brand audit only serves for those businesses that have a brand currently, but we advocate for the perspective that running a brand audit before officially launching your business gives you a strong foundation to build your business off of. You can better understand the strengths, weaknesses, opportunities, and threats your business plan has and better prepare for the competition at play in your industry. When… taking advantage of rebranding efforts. You’re ready to start the efforts to rebrand your company. This is the perfect time to run a brand audit so you can understand the current state of your brand – what’s working, what’s not working, how your current brand is translating to your target audience, how you’ve been doing in comparison to your competition, what needs to change to improve your brand, what could stay the same. Your current brand needs a current analysis and then a fresh perspective in order to make informed rebranding decisions to carry out an effective transition. The current analysis allows you to cultivate the fresh perspective and make the best decisions for a successful rebrand. In conclusion, the brand audit should be the first step taken in your rebranding efforts. When… your business is facing challenges. Something is not working. You see a substantial problem within your business or company, or maybe even multiple problems. Perhaps it’s a decrease in sales or leads, or maybe a lack in employee productivity or an increase in the turnover rate. Assess your brand to find effective solutions! Often times these problems can be better understood and fixed through the process of a brand audit. Brand audits focus just as much on a business’s internal goals and values as the external because both are important and both work in tandem to get the job done and ultimately bring in revenue. Remember, your brand is the foundation and the heart of your business, and many of your challenges can lead back to that. If there’s a crack in the foundation, or a misunderstanding of the heart, a whole assortment of problems can result. Brand audits can help you find the gaps within your brand and allow you to fix them more efficiently so the internal and external goals of your brand can be met once again. What does a brand audit through Pearl Marketing look like? At Pearl Marketing, we run extensive brand audits that include a SWOT Analysis of your company to understand the strengths, weaknesses, opportunities, and threats of your business. They include analyzing the internal end external goals, attributes, and values of your business that cultivate a healthy and defined brand. They also include the assessment of a brand statement and elevator pitches to ensure clear brand communication among employees and the outside world. Through market research, an analysis of relevant competitors help your business get ahead of the competition. Lastly, recommendations on how to proceed are given to either build a strong brand foundation, fill in gaps and holes, or assist in making necessary changes that will benefit the business’s current brand and future growth. To have Pearl Marketing run a brand audit for your business, contact 603-732-9070, or email info@pearlmarketing.com. Visit our website at www.pearlmarketing.com. Be sure to follow us on Facebook, Instagram, LinkedIn, Twitter, and Youtube! You probably have heard in recent news that there has been another Facebook data breach, which has compromised 50 million Facebook users’ information. This latest breach has left people questioning (more than ever) the Facebook company’s intention on protecting its users’ and wondering how safe their private information really is. It’s important to understand what happened. Hackers were able to find a way into the code associated with the “View As” privacy tool, which allows users to see how their profile looks to others viewing their page. This allowed the hackers access to user information. As soon as the breach was realized by a team at Facebook, the company responded by logging all compromised users out. In a statement by Facebook CEO, Mark Zuckerberg, the compromised users would receive a message at the top of their newsfeed about the breach. The answer is yes! There has been confirmation that vulnerability with the code has been patched and fixed and those that were compromised are safe to sign back in to their account. The problems, however, have just begun for Facebook, as they must come up with ways to gain the trust back of and assure more security to their users. Facebook is so tied in to the fabric of today’s digital marketing world as well as being one of the most popular social media networks. It’s hard to make a decision to stop using Facebook overnight, so as we mull this over and watch the fallout, Pearl Marketing recommends the following safety measures to help protect your Facebook information online. Especially if you know your account was compromised, changing your password is the easiest and “no brainer” option for protecting your account. Don’t stay logged in to your account. Many people, especially on their phones, choose to stay logged in to their account to make it easier to check their Facebook notifications when they’d like. In other words, they don’t want to deal with the hassle of logging in and out, so they stay logged in 24/7. Don’t do this to give yourself a little more protection. Take the time to log in and out. This is another layer of security that will help thwart hackers to your account and will keep you better informed about something fishy going on with your account. To receive expert marketing coaching and consulting that will help guide you in the best reaction & approach to matters like these and all things marketing, contact Pearl Marketing at 603-732-9070, or email info@pearlmarketing.com. Visit our website at www.pearlmarketing.com. We all want to make sure that the information we put out on the internet is secure, and we want to make sure the websites we visit and engage with are secure as well. Most websites today are transactional and store credit/debit card information and log in information. For these purposes, an SSL certificate, otherwise known as Secure Sockets Layer, has become mandatory for all websites. For a website to function properly, the web browser and server must communicate, and the SSL certificate allows encryption for each website session so any information remains secure and protected. You may have already seen the effects of a mandate that Google implemented at the end of 2017 and has been following through with throughout 2018. This mandate requires all websites beginning with “http://” to have an SSL certificate or they will essentially be flagged. The effect of this is that when you visit a website and it doesn’t have an SSL certificate, a “not secure” will be displayed in the browser to the left of the url warning web visitors. It has also been reported that not having an SSL certificate will negatively affect a website’s SEO (search engine optimization) ranking. In conclusion, if you want your website to remain secure and to keep information private and safe, then get that SSL certificate. If you want to avoid the threat of hackers and an SEO penalty from Google, then get that SSL certificate. If you want visitors to your website to keep returning and engaging with your brand, and if you want them to feel secure on your website and to see your website as credible, then get that SSL certificate! Don’t delay as this mandate is in full effect. Here’s to a safe and secure digital world! 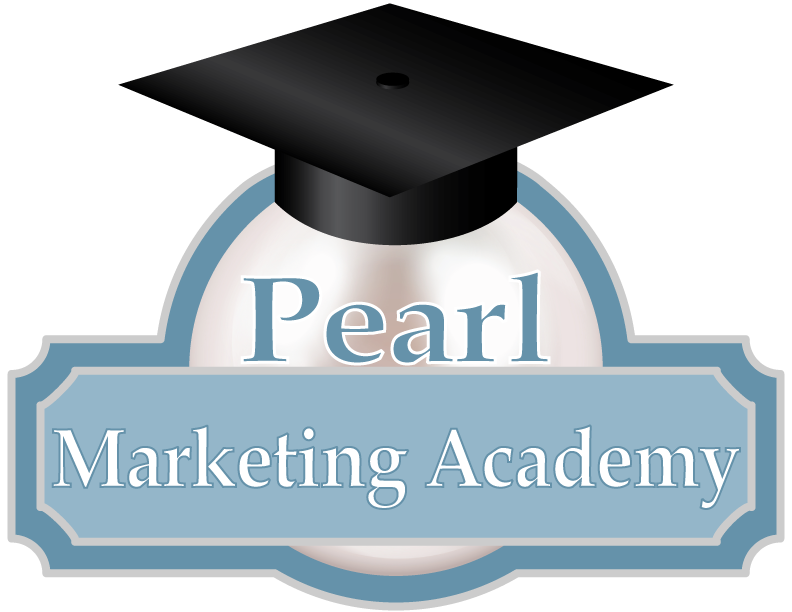 To receive more expert guidance on your online presence or business/product marketing, contact Pearl Marketing at 603-732-9070. Email info@pearlmarketing.com. Visit www.pearlmarketing.com.